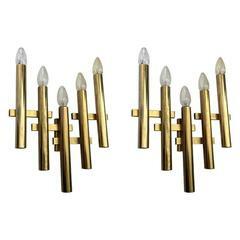 This Set of Three Large Italian Wall Lights with Brass Details is no longer available. 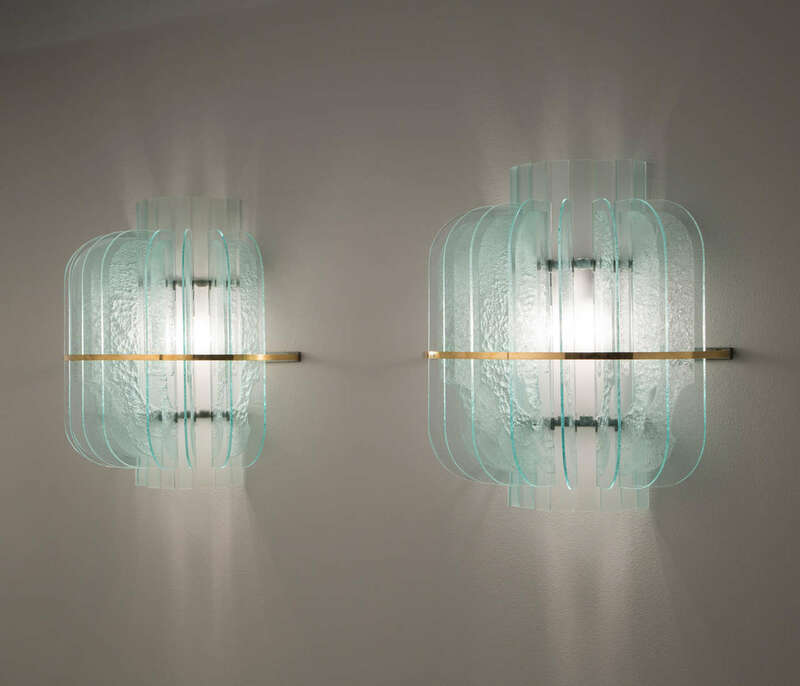 Set of three wall lights, in glass, metal and brass, Italy, 1950s. 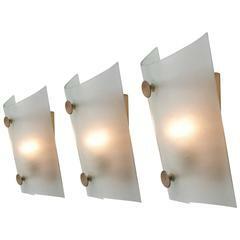 Set of five large wall lights in structured glass and brass details. 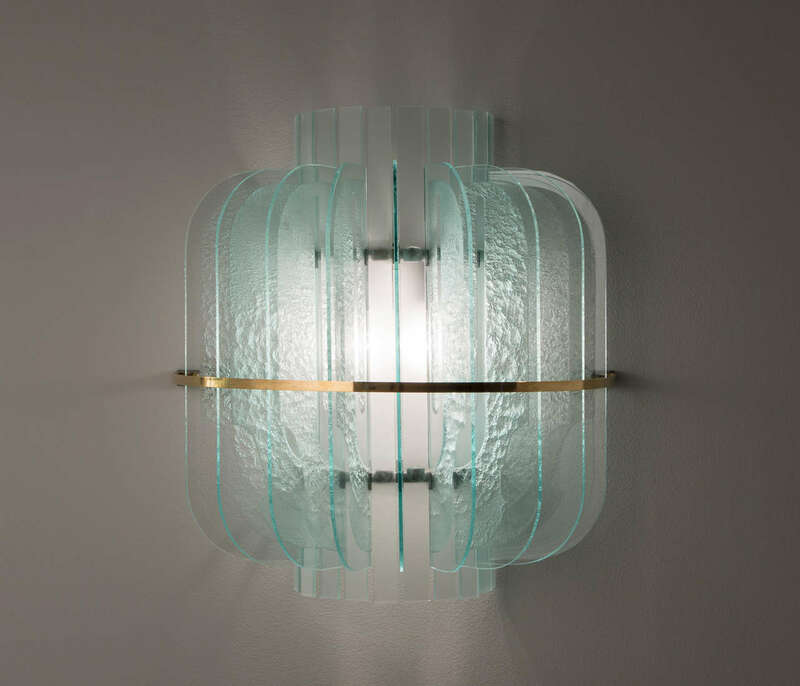 These lights are designed in the manner of Fontana Arte. 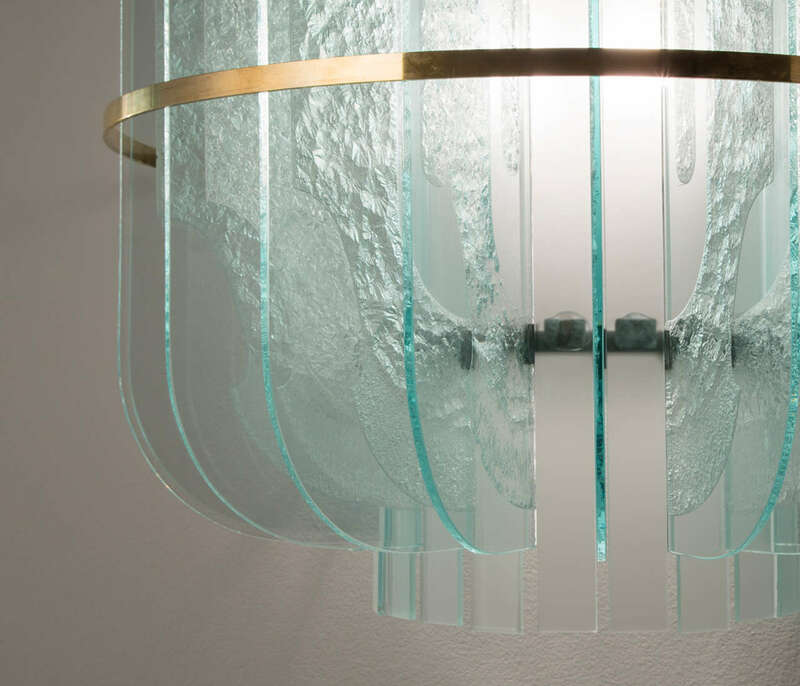 A halve round design featuring nine structured and slightly colored glass shades mounded on and decorated with brass. 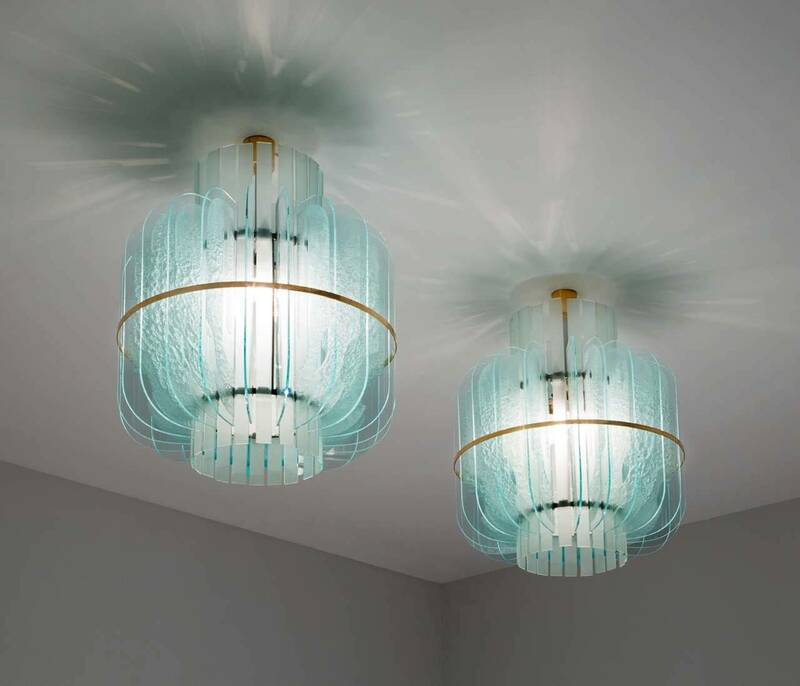 Due the combination of forms and materials, these lights will create an absolute stunning light-partition. Set of six matching pendants available. Please ask for more information and images. 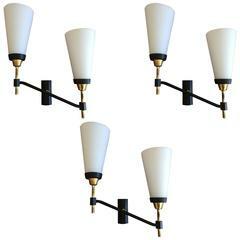 Large set of Swedish wall lamps with brass shades and adjustable stem, so both the wall and the surrounding room can be illuminated. Please note the price is per item. Set of three large Swedish wall lights. Hand blowing glass shades. Produced by Arvika, circa 1960. Existing wiring, we do not guaranty functionality, rewiring available upon request. 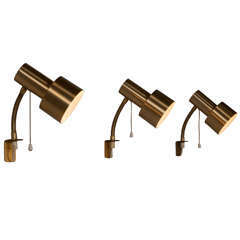 Three Italian wall lights in brass. Measures: Height 40 cm. width 20 cm. Depth 11 cm. Two E14 bulbs. 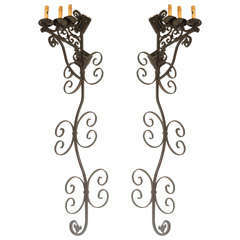 Great large 1950s French sconces composed of brass and matte black fixtures holding large white matte glass shades. Rewired. 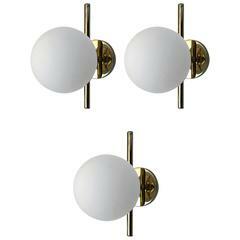 A great set of three sleek modern 1950s polished brass wall lights with frosted glass globes shades. Newly rewired. 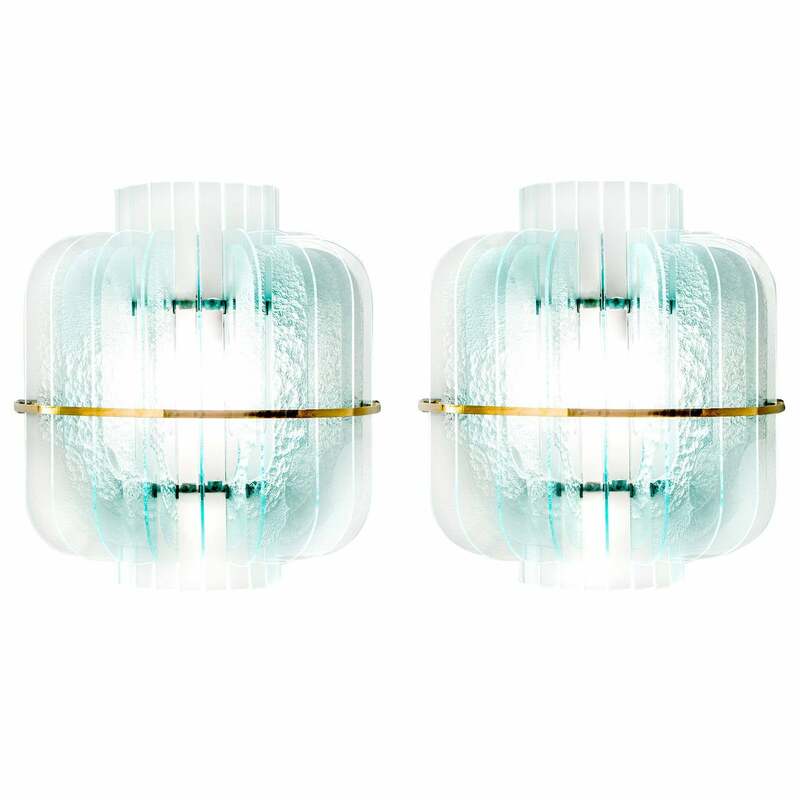 A rare large five light pair of aged polished brass modern wall lights by the famed lighting company, Sciolari. Newly rewired. 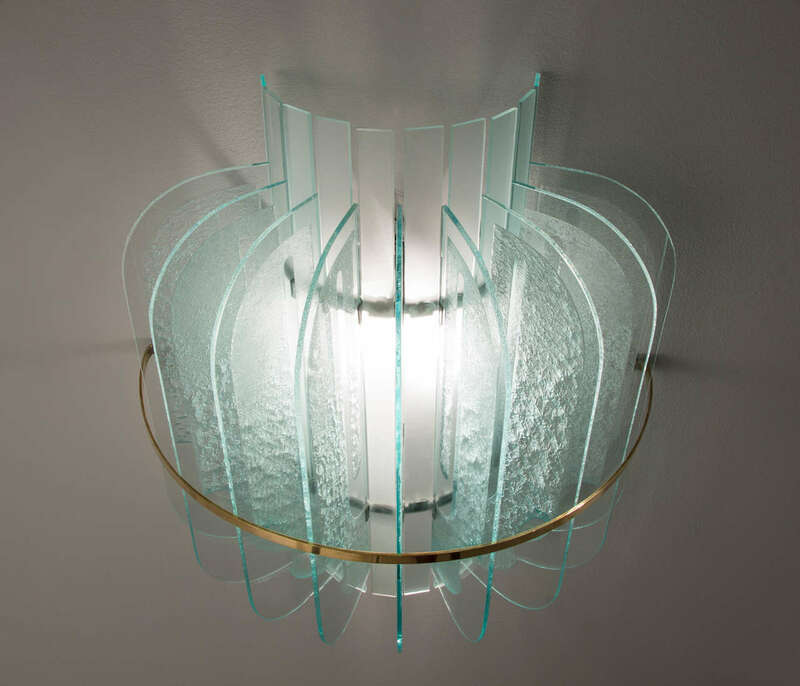 Set of three beautiful Murano handblown glass tube sconces. Italy, 1970s-1980s. Lamp socket: 1x E27 (US E26).